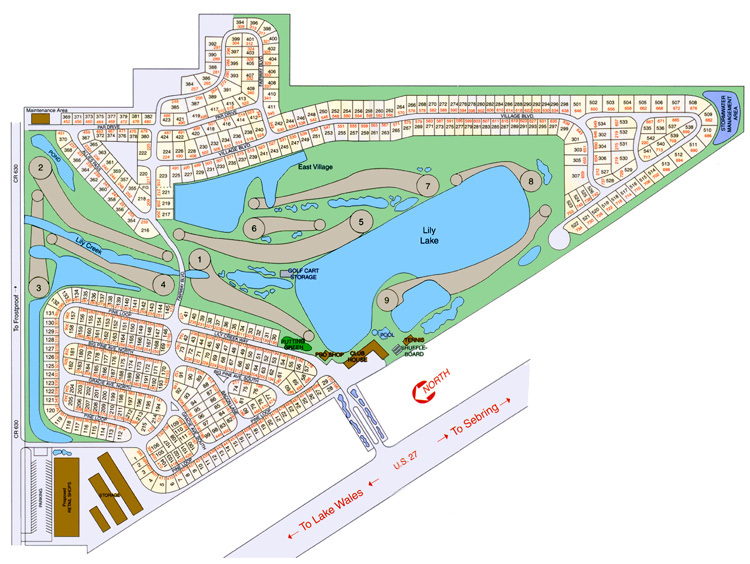 Lily Lake golf course is one of the nice features of living at Lily Lake. Ours is a 9-hole, par 32 course with 5 par 4's and 4 par 3 holes that will challenge you every step of the way. Even though it is open to the public, memberships are only available to owners. Along with membership comes 10-day advance tee-time privileges. Owners may also participate in L.L. Men's League, L.L. Women's League, Mixed Couples League, and numerous other events. Golf course membership is not required. Course hours are from 7:00 a.m. to 6:00 p.m., 7 days a week (closed to the public on Christmas day). For tee times call (863) 635-2676 or (863) 635-1344. All content ©2012 by Lily Lake Golf Resort. All rights reserved.